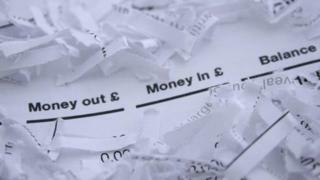 A new fee-free template for basic UK bank accounts has been revealed by the Treasury after a deal with major banks. Basic accounts do not offer overdrafts or cheque books, and may be given to those with a chequered credit history. Some holders of these accounts have been hit by initial fees of £30 or more after a direct debit or standing order payment has bounced. The cost can then escalate if the fees are unpaid. Under the new terms agreed, these one-off fees will be scrapped. Economic Secretary to the Treasury Andrea Leadsom said the new accounts would give basic bank account holders "certainty and clarity". "It will end people being effectively locked out of their basic bank accounts due to high fees and charges when their payments failed," she added. Account holders should also be offered a debit card, in order to withdraw cash from the UK's ATM network. Andrew Tyrie, chairman of the Treasury Select Committee, welcomed the move but said it came a year later than planned. We ask all our new debt clients to open a basic bank account with a bank that they don't owe money to. It is often not an easy business, especially for vulnerable people. In some cases, staff at the local branches are unaware of the basic bank account and we have found they inadvertently up-sell, offering the client a current account which results in rejection when they carry out a credit check. This is especially hard on someone who is trying really hard to get their finances back on track and take their first tentative steps to addressing problem debt. One of the other biggest stumbling blocks is that the banks want photo identification, which can be too expensive for someone without a passport or driving licence. There are only one or two companies which allow other forms of ID and we would love to see the Treasury tackle that issue. Another difficult element is the lack of a debit card with many of these accounts which really hit people in rural communities who end up travelling to a cash machine out of their immediate area and are unable to do shopping online. Some banks have, at times, withdrawn or reduced basic account holders' access to cash machines, prompting criticism from campaigners. There are an estimated nine million users of basic bank accounts in the UK. Nine High Street banks have signed up to the deal, accounting for 90% of the UK current account market. Banking industry body the British Bankers Association, which worked with the banks to develop the new template, said the revised account was aimed at people who might not be able to open a standard account and customers in financial difficulty. "These basic accounts will make it easier for more people to manage their money. They will have many features that will help people to budget, pay bills and save up," said BBA chief executive Anthony Browne. The EU authorities agreed a directive earlier this year that said all residents should be given the opportunity to open a basic bank account, with fees that were fair, and allowing people the opportunity to switch providers. Kevin Mountford, head of banking at price comparison website Moneysupermarket, said: "While the main banks have always borne a degree of responsibility to provide such facilities, these have often lacked clarity around fee structures and uncertainty as to who can and cannot apply, so this should now change. "It is essential that all banks fully enter into the spirit of this ruling and create basic banking products in order to help those customers who have been badly underserved in the past." Mike O'Connor, chief executive of StepChange debt charity, said: "The experience of our clients is that access to basic bank accounts is extremely sporadic across the sector, and things like high charges and limited access to cash machines can cause real problems on a day-to-day basis.